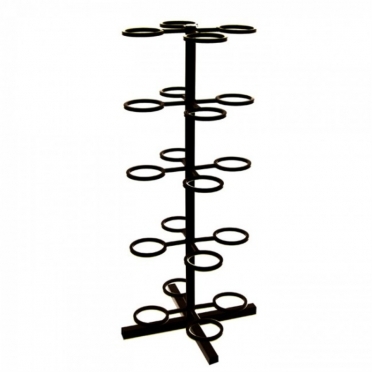 Stroops 5 Ball tree for medicine balls 391220, for up to 5 medicine balls.Standard powder coated steel.Height 115 cm.Supplied without balls. Stroops 20 Ball tree for medicine balls 391230, for up to 20 medicine balls, for maximum diameter of 28 cm.62 x 62 x 128 cm, 10,6 kg.Supplied without balls.Only available in the color white. 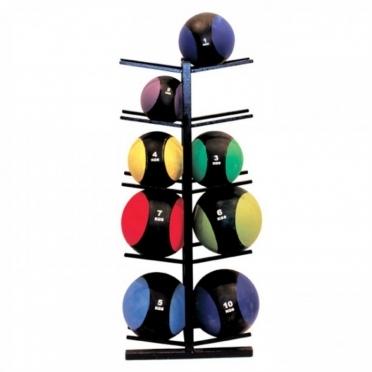 Stroops 10 Ball tree for medicine balls 391225, for up to 10 medicine balls.Standard powder coated steel.Dimensions: 50 x 30 x 115 cm, 11,5 kg.Supplied without balls. 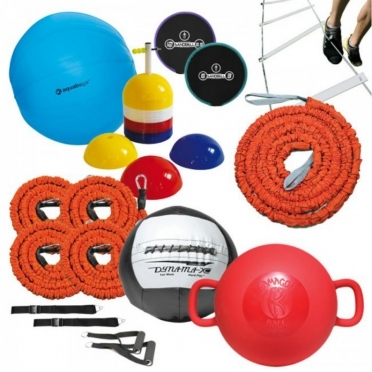 The Stroops bootcamp package is a complete training package with challenging (light and heavy) training materials, that allows you to train 10-15 people at once.The materials are composed on a way that you could create exercises where always two people work together.The variety of different materials ensures nice mix of strength, endurance and coordination training. 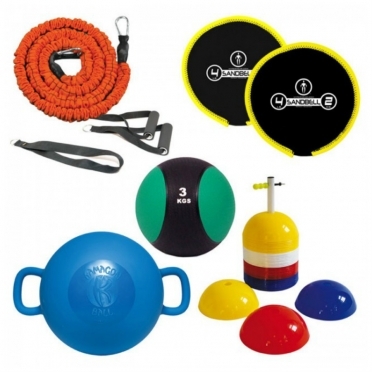 The Stroops small group package is an ideal package for personal trainers.The Grid allows you to work on flexibility, with the Aqua Bullet you can do specific core exercises to get a base for a strong torso/body.Roll out ladder allows you to put the focus on conditional and SAQ exercises.With this stroops trainings kit, you can do strength training exercises up to 20kg for your lower and upper body. 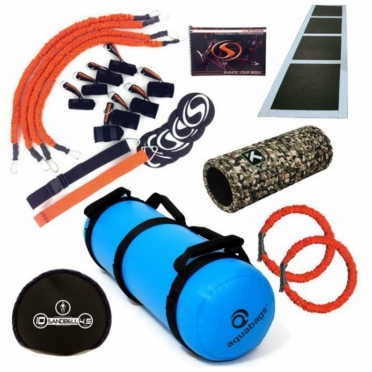 The Stroops starters package contains all the materials to start immediately with a functional training.This training package is the ideal starter kit for all coaches/ athletes who wants to train his entire body.The variety of different materials ensures nice mix of strength, endurance and coordination training. 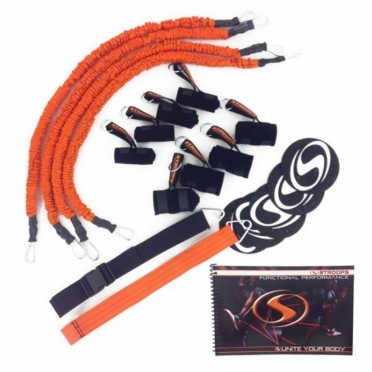 The Stroops performance package provides a complete solution for functional, performance-oriented trainings.A combination of elastic resistance bands and accessories for legs and arms.This allows you to create different tools to train, strength, agility and total body power training.The tottal Kit is easy to store in the included backpack. Increase your athletic ability to be faster and more explosive with this durable Stroops plyobox 15cm 394260.Train at different heights to adjust the Intensity of the workout.The platform is slip resistant.The boxes are easy to stack and can be used indoors and outdoors. Increase your athletic ability to be faster and more explosive with this durable Stroops plyobox 30cm 394262Train at different heights to adjust the Intensity of the workout.The platform is slip resistant.The boxes are easy to stack and can be used indoors and outdoors. 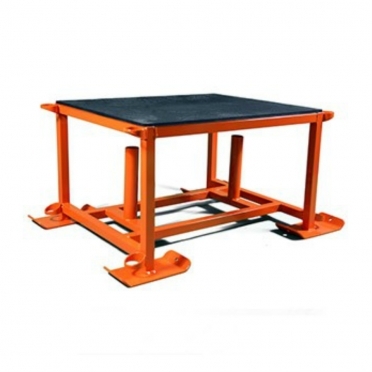 Train at different heights to adjust the Intensity of the workout.The platform is slip resistant.The boxes are easy to stack and can be used indoors and outdoors. Train at different heights to adjust the Intensity of the workout. The platform is slip resistant. 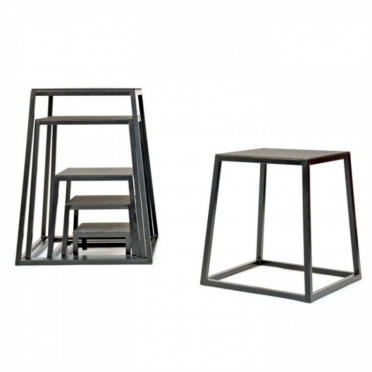 The boxes are easy to stack and can be used indoors and outdoors. As the name suggests, the Stroops predator sled 392142 helps to gain by developing strength, speed and endurance.The Stroop Predator Sled operates as a sled.Up to 540 kilograms resistance for pulling and pushing, and can be used for strength or for example an interval training.Optionally, you can attach a band or elastic to the predator sled to get more exercises. 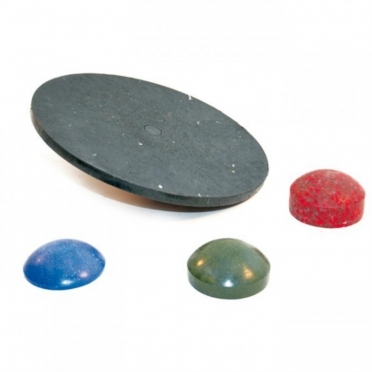 Stroops twist board 390180, this solid plastic rotation board is strong, durable and of a professional quality with a diameter of 43 cm.Improve your balance, core strength and mobility by rotating 360 degrees.Develops hip stability, by rotating the hull from an athletic powerful stance. 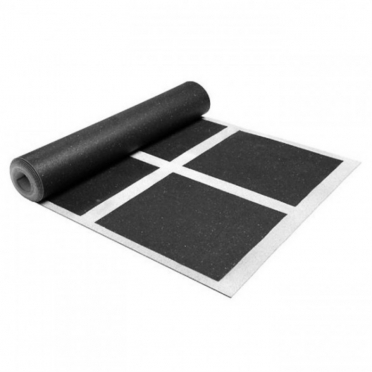 This Stroops wobble board 390181 strengthens and conditions the lower body and also helps to increase the muscle tone in the calves and ankles.Improve your balance, flexibility and core strength with this solid plastic wobble board with a diameter of 46 cm.The board comes complete with three different half-balls; S: 12 (degrees), M: 16 (degrees) and L: 20 (degrees). 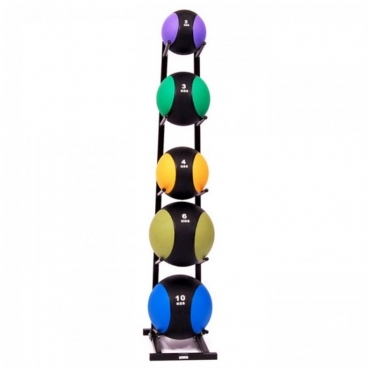 Improve your footwork by quickly going through the Stroops Roll out ladder 4,5 m 393100.We have all used ladders before and spent more time fixing them then actually working on footwork and coordination.The ladder will stay put the entire workout without the need of fixing it.Spend more time taking your performance to the next level, rather than fixing a ladder!Dimensions: 0,45 meter wide and 4,5 meter long. 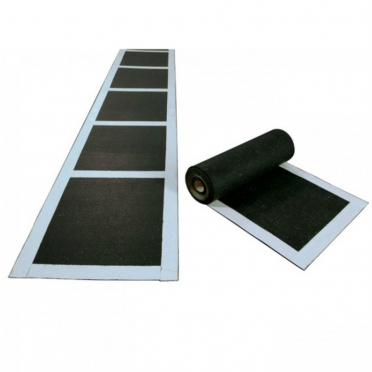 Improve your footwork by quickly going through the Stroops Roll out ladder dubbel 4,5 m 393101. 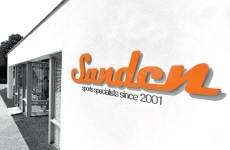 We have all used ladders before and spent more time fixing them then actually working on footwork and coordination. The ladder will stay put the entire workout without the need of fixing it. Spend more time taking your performance to the next level, rather than fixing a ladder! Dimensions: 0,90 meter wide and 4,5 meter long. 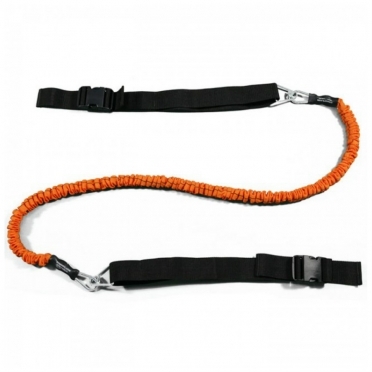 This Stroops Leap frog 394140 offers a lot of different training opportunities to train your whole body, continuously and alternately passing and running with resistance.The LeapFrog consists of two straps that are attached with a Slastix Clip (1.22 m).Ideal for training in pairs and is available in three different levels; medium (red), heavy (blue) and extra heavy (green).